Key Facts You Need To Know About Contract Chemical Manufacturing | InChem Corp.
Contract chemical manufacturing, sometimes known as toll manufacturing, has been providing support for businesses that want to avoid increasing their cost structure. Having a requirement for setting up their individual chemical production facilities can be avoided by partnering with a contract/toll manufacturer. In addition to lifting the burden of regulatory concerns, chemical toll manufacturing companies also assist by being in a position for reducing overall production costs for their clients. Custom chemical manufacturing companies like InChem have well-equipped facilities and trained staff who are capable of managing chemical manufacturing tasks, including chemical reactions, blending and thin film distillation. They have processes in place to ensure consistent quality products by following industry safety standards and guidelines. Their production facilities can provide manufacturing scale-up that achieve objective timelines for clients. Clients do not need to worry about meeting or changes to the industrial regulations for chemical manufacturing. Since the cost of production facility set-up is also eliminated when a company decides to take the toll manufacturing route, it helps in lowering overall product costs. Not to mention the obvious benefit of availing the latest equipment and professional expertise provided by the toll manufacturing company. The company can focus on its core business knowing that it will be receiving quality product from the contract manufacturing company. Most custom chemical manufacturers have a large array of reactors, chemical mixing vessels, etc. 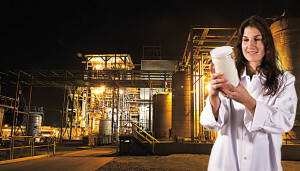 to support different types of processes involved in contract chemical manufacturing. Some of them like InChem have multiple plants that provide chemical reactions, distillation, blending, etc. In addition, back-up production support is available as contingency. Chemical production is not an easy task and most chemicals need to be handled with caution and great skill. An experienced toll manufacturing company is better equipped with sourcing production at its facility by following the latest safety guidelines and avoiding risk as compared to a company that is new to the chemical environment. The experienced staff is also trained to handle hazardous chemicals properly, whereas this may not be the case with a company that does not specialize in chemical production. There are plenty of other factors that also go in favor of hiring custom chemical manufacturers instead of spending time and effort in processing product internally. However, for most companies, risk-aversion and cost-reduction are reasons enough to explore contract/toll manufacturing. Contact InChem to discuss your contract manufacturing needs at 1-800-331-7721 or use our online contact form.